My wife and I currently do cruise travel vlogs on YouTube. 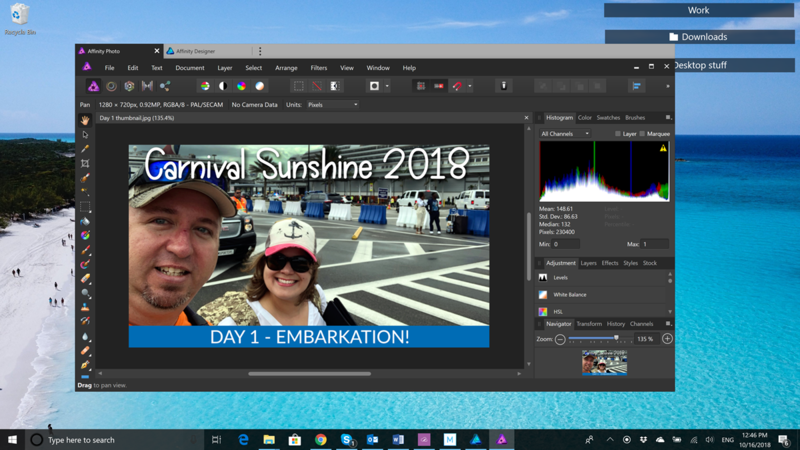 Recording all our adventures is fun while we’re on a ship, but the real work begins when it’s time to sort through and edit all that footage we have captured over the week. For many years I have done photo editing, which is also quite time consuming, but that’s nothing compared to what it takes to get a whole video edited and ready for uploading. That means I need to use every tool at my disposal to make the process as quick and simple as possible. One of those tools I use is Groupy. Groupy is an organizational tool for Windows that will keep your information tabbed and organized. You can drag and drop multiple applications and documents together to group them into a tabbed interface for easy access. Here’s a quick video about how Groupy works. Let me show you how I use Groupy in my video editing workflow. I use Groupy this way the most often. With Groupy, I can open several Explorer windows and have them all grouped together so I can have multiple file locations open at once. Groupy lets me easily access them all right in one window. 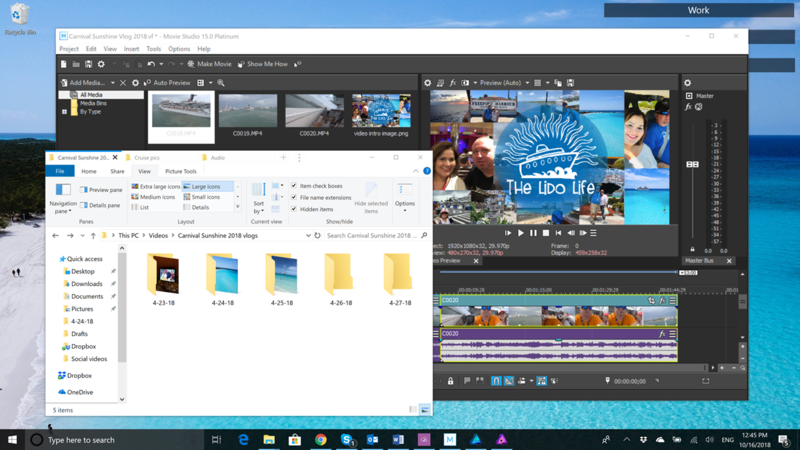 When working with video projects, there are usually a lot of video, image, and audio files to work with, so being able to have all those locations open in one interface is extremely valuable. I have only one video editing program open at a time, but in addition to that I also use Affinity Photo and other graphic programs. I like to keep those in a group so it reduces the overall amount of windows on my desktop, and it’s just convenient to have those certain apps grouped in one place. Whether it’s audio or video, I often need to review some clips from our files. Groupy allows me to keep a couple of media players grouped and ready to use when needed. Groupy is available individually for your Windows PC, but you can get that and more with a low-cost membership to Object Desktop. While you're a member, you'll get free updates, access to all betas, and any new apps for one year. You’ll also get access to other great programs like DeskScapes, Start10, WindowBlinds, Fences, Multiplicity, and more!